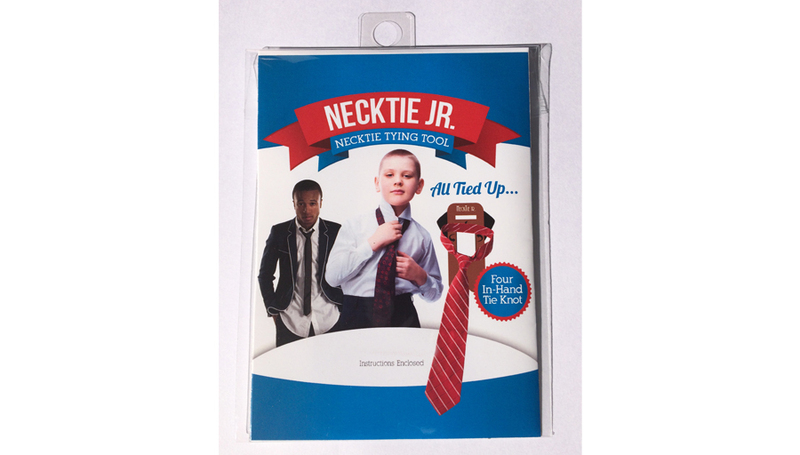 NeckTie Jr. - Necktie Tying Tool is a tool that allows a person to learn to tie a tie. There is an informational video below for review. Teaches an individual how to tie a tie. Instills in a young person confidence and independence. Provides the means with which a person may dress more professionally. 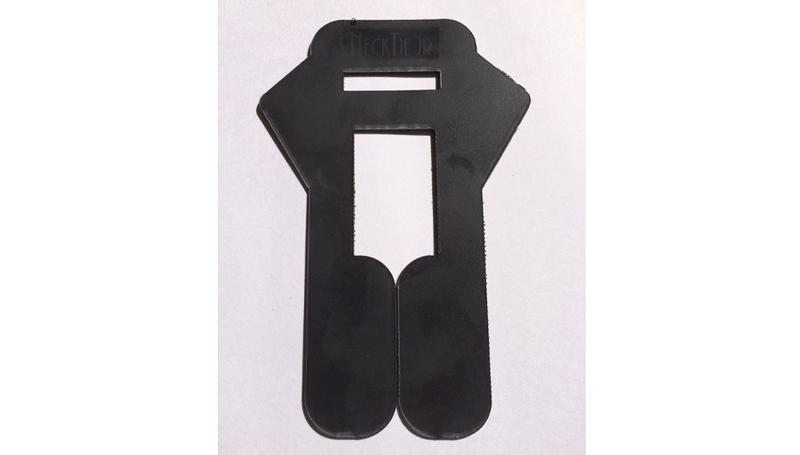 Eliminates the need to purchase or use clip-on ties. Comes in a variety of styles appropriate for both adults and children. For a variety of reasons, be it age, inexperience, or simply never needing to before, some people never learned to tie a tie. As a result, they have to use clip-on ties or ask a friend or neighbor for help. This can be embarrassing, especially for an adult. A person might instead try to teach themselves how to tie the tie, but they may end up doing a poor job and the end result will leave them with a sloppy, unprofessional appearance. 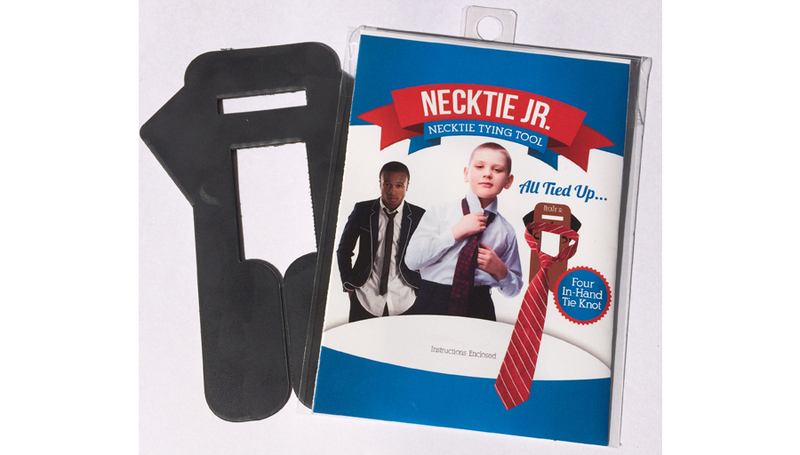 NeckTie Jr. - Necktie Tying Tool is a portable knot forming tool for neckties. This innovative comprises a thin plastic board with a head segment, narrow neck segment, and larger body segment. 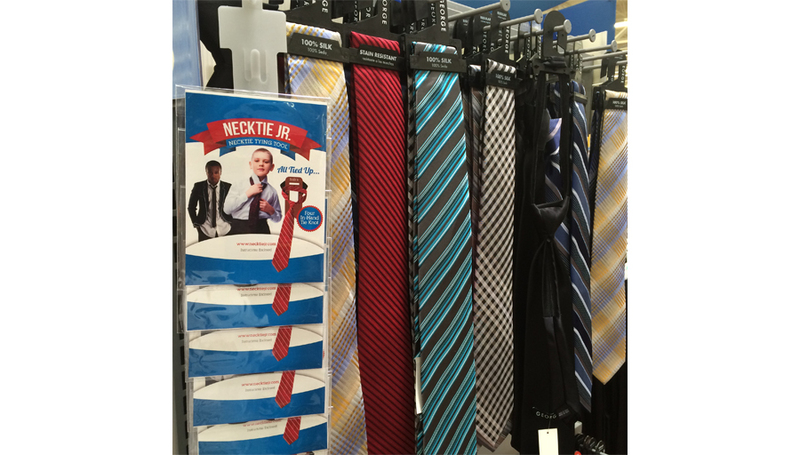 There are a plurality of slots through which a necktie is inserted in order to achieve the correct necktie form. Once the tie is formed it can be removed from around the product's “neck” and worn by the user. The product comes in a variety of designs suitable for all ages. FIGURE 1 Shows the product and its packaging. FIGURE 2 Shows the product for sale in a retail store. FIGURE 3 Shows the product itself. FIGURE 4 Shows the packaging itself.